Our mission is to introduce the benefits of mindful crafting to skilled and beginners alike in a nurturing environment designed to remove stress and distractions. We aim to help people truly get in touch with their creativity and bring them together with others doing the same in an atmosphere of community and companionship. Creative Contemplations retreats are about providing time and space to relax, unwind and consciously create. This simply means focussing on what we are doing as we are doing it - and making that our priority. Often we don't give our creativity enough time - despite being highly important to us, we give it a low priority; it’s the thing we drop when we are busy, or mindlessly do in front of the TV. And that's if we do it all - It may well be something we haven’t done since we were young. We were born creative. Young children play with paper and glue or joyfully build sandcastles and dens. Indeed, some of the oldest objects in the British museum show our relationship to art. Clearly, expressing ourselves creatively is a basic part of being human. 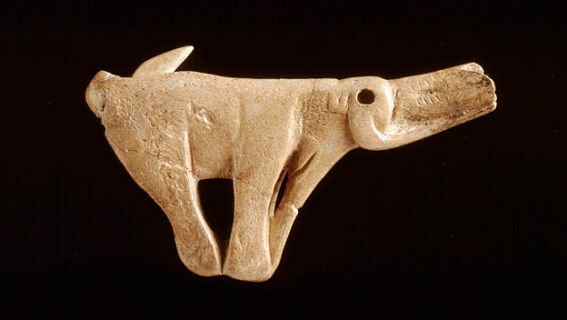 This mammoth carved from a reindeer antler and held in the British Museum, is about 12,500 years old. But in the modern world, our intrinsic relationship to creating has been lost. We don’t need to make our clothes or household objects any more – we’ve got John Lewis or Primark for that. Being creative has become 'just a hobby', something we may even feel a little guilty about doing. Our retreats are about reversing that. We believe that spending time crafting and doing so in the company of others has major benefits for our emotional wellbeing, which in turn can help our overall health. Our Conscious Crafting sessions aim to achieve an atmosphere of peace, quiet companionship and purposefulness akin to meditation. We take this time to focus on our craft, stitch by stitch. This is the hot bubble bath and scented candles of crafting – so join us, climb into your creativity, lie back, indulge, explore, play and contemplate.